Campaign Background – Do I Have Prediabetes? This PSA campaign aims to raise awareness of prediabetes, a serious health condition that affects 84 million Americans (more than one in three adults) and often leads to type 2 diabetes. That one in three could be you, your brother or sister, your best friend or partner. Nearly 90 percent of people with prediabetes don’t know they have it. To help those with prediabetes know where they stand and prevent type 2 diabetes, the American Medical Association (AMA) and the Centers for Disease Control and Prevention (CDC) have partnered with the Ad Council to launch the first national PSA campaign about prediabetes. Know where you stand. Visit DoIHavePrediabetes.org and take the short online risk test now. This section provides background information on the public service advertising campaign to raise awareness about prediabetes. 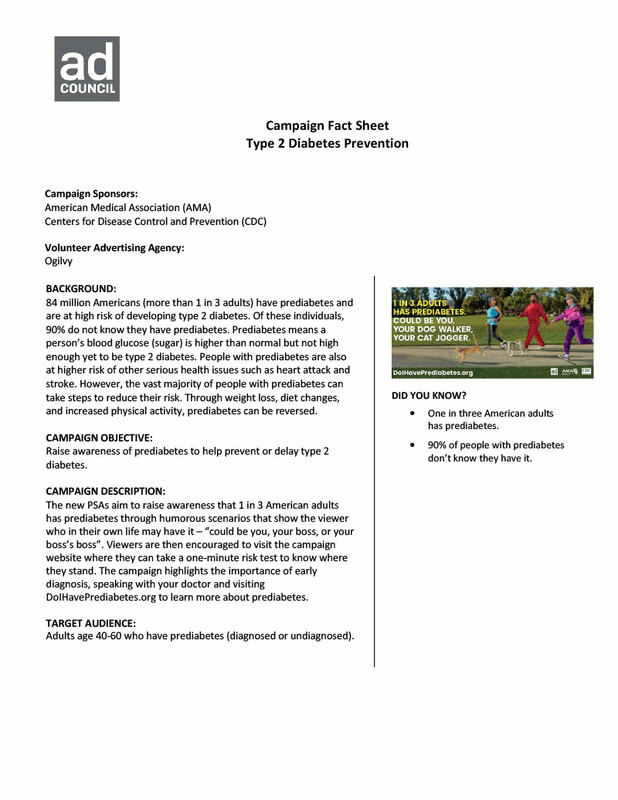 A one-page fact sheet that includes background information on the Ad Council prediabetes campaign. Find answers to frequently asked questions about the Ad Council prediabetes campaign. 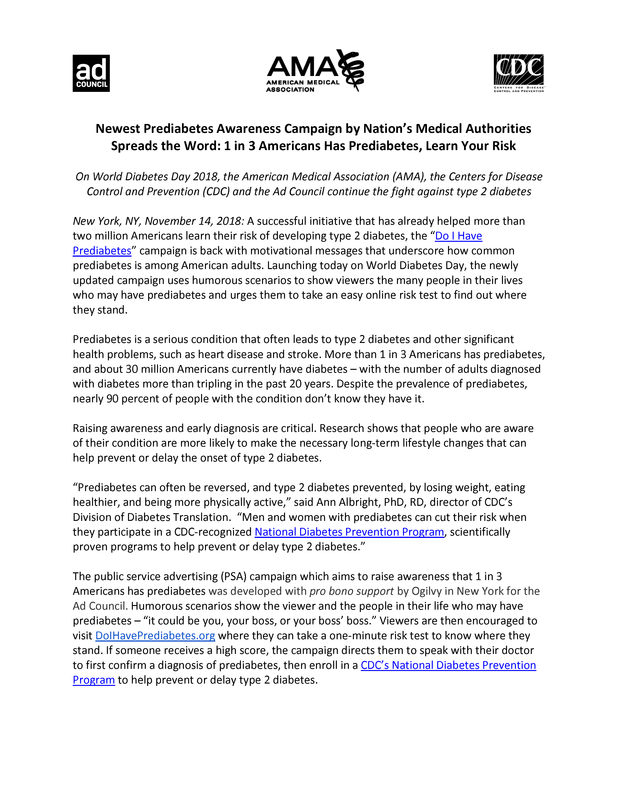 Read our press release for more information on our most recent prediabetes awareness campaign. For more information, please reach out to your contact at AMA or CDC. For other inquiries, contact Nick Sugai, Campaign Director, The Advertising Council, nsugai@adcouncil.org.